When the smallest, most affordable gadgets can make such a big impact on daily life, we take notice. 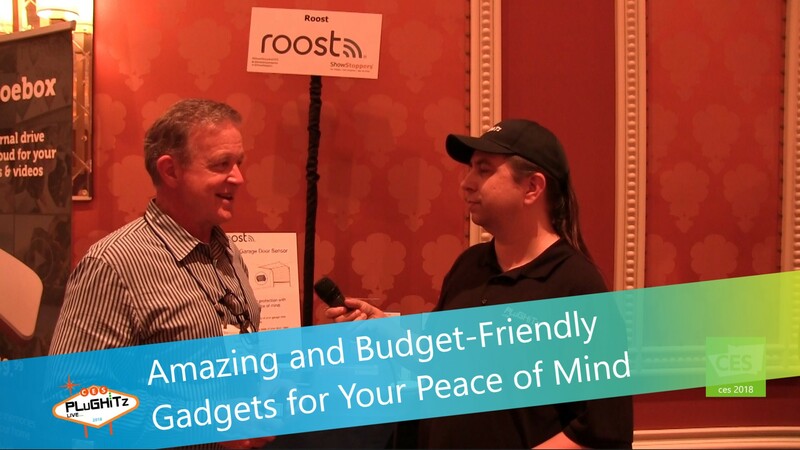 And we definitely noticed Roost when we came across them at ShowStoppers at CES 2018. On display this year is their 9 Volt Smart Battery. This is a Lithium battery that will last 3-5 years, with an imbedded WiFi chip. This Smart Battery will actually change your existing smoke detectors in your home and instantly turn them into smart smoke detectors. How ingenious! By simply replacing your batteries with these smart batteries and connecting to your home WiFi via the mobile app, you will be alerted immediately if your smoke detector goes off. So no matter where you are, you will know, and can react, right way, if there is a fire in your home. The Smart Battery starts at $34.99. You can also order the next generation battery at Amazon.com. Also currently available is the Smart Leak and Freeze Detector. For only $49, you will never have to worry about leaks or freezing pipes again. Simply place this detector anyplace in which you are worried about leaks to get a notice to your smartphone if one occurs. It also has a temperature and humidity sensor inside so you can set your own parameters to be alerted in time to ensure there isn't a disaster in the home. It's great for placement beneath toilets, under the kitchen sink, near the hot water heater, etc. And a new addition to their lineup this year is the Smart Garage Door Sensor. Talk about a good idea!! We have all had that sinking feeling after driving away from the house where we wonder, "Oh no, did I close the garage door?". Well, don't worry about driving back to verify. This wonderful little device that clips onto the top of the garage door is Wi-Fi enabled with a built in accelerometer. It sends notifications to your smartphone to let you know the state of your garage door; open or closed. Place this sensor on the garage door, connect it to the Roost cloud through the free mobile app and become more engaged. Not only can you check on the door's status at any time, but you can also set up notifications to let you know when there is any activity. The Garage Door Sensor will be available in the second quarter of 2018 at a price of $39.